World class Bollywood entertainment services at very affordable prices. We provide a vast entertainment directory including bollywood string quartets, bollywood harpists, bollywood pianists, sitar players and tabla players, bollywood dancers, bhangra dancers, giddha dancers, bollywood singers etc. Our Asian live bands are extremely professional and will provide a night of wonderful entertainment for you and your guests. Picture your main event, maybe you're visualising a roaring 20's glitzy evening or perhaps a 70's happening... peace man! Well, imagine no longer: whatever you see in your mind's eye........ These dancers will make it a reality. Formed in 2009 they bring 20 years of experience in the entertainment industry, gained nationally and internationally as Professional Dancers, Choreographers and Teachers, to make your occasion an unforgettable one. You can choose from a wide variety of bespoke dance shows and routines, booking as little as 2 or as many as 30 dancers... male, female or both. Let us know your requirements and they will put together a show for you to remember! 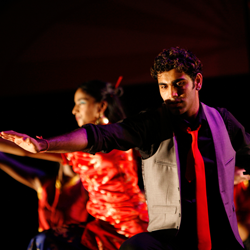 This Amazing Bollywood Dance Company has a professional troupe of Teachers, Performers and Choreographers. They are can provide 2 dancers to a troupe of dancers for your event. They are suitable for a variety of events including weddings, hen parties, group choreography, couples first dance choreography. Their performances for Weddings are a colourful addition to any type of Wedding Celebration, Eastern or Western! Each performance is a perfect blend of Classical Indian Dancing, Pure Bollywood and commercial Bhangra all set to the uplifting music of Bollywood films. Their highly trained dancers perform in colourful, authentic, Bollywood costume keeping your guests entertained, excited and amazed throughout. This dance company can also offer fusion Belly-Bolly performances for that extra 'wow' factor! In addition to their fantastic performances they also can offer a short crowd participation workshop to get your guests on their feet. Their fantastic instructors really know how to get the party started and they guarantee some laughs along the way! Your guests will have an experience they will never forget. 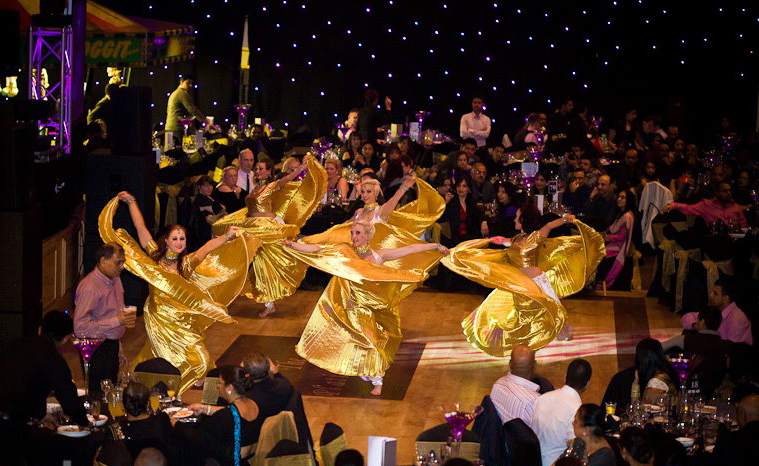 This Bollywood dance company offers bespoke performances and workshops to add some Bollywood sparkle to your event. 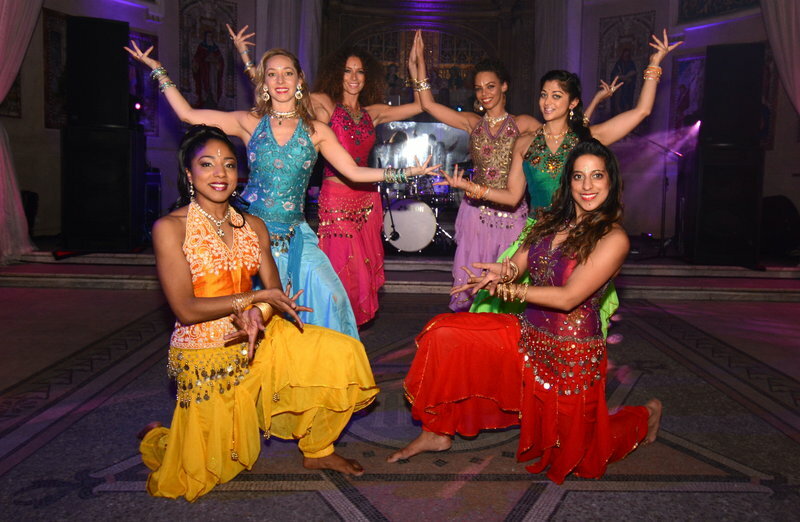 Bollywood dance is a great way to liven up an event and they offer performances for all occasions – whether it's a wedding, festival, corporate event, fashion show or just a party! 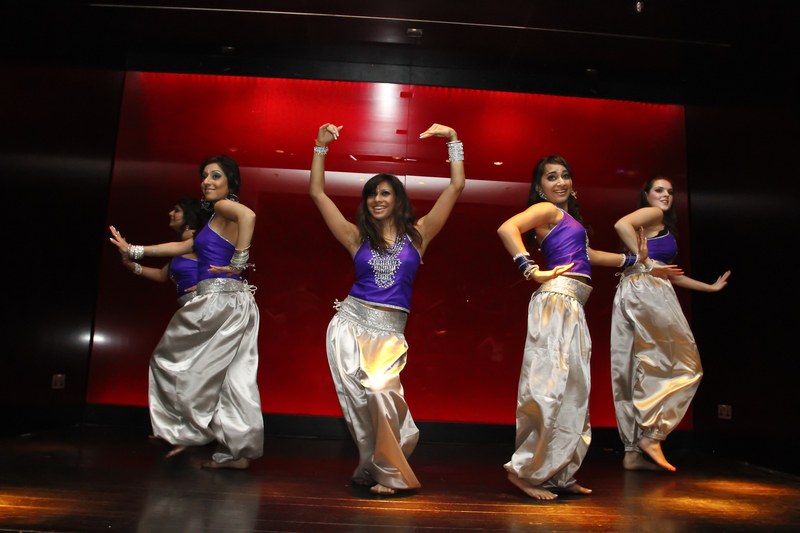 They also offer exciting dance workshops, where they get you in the Bollywood spirit, getting your team or friends bonding over some fantastic Indian dance moves. These fantastic dancers are a multicultural company with highly trained Asian and non Asian female dancers and they bring to life the vibrancy, colour and infectious rhythms of Bollywood! This elite group of dancers have been performing since 2006 providing entertainment across the UK and overseas. Among their dancers they have 4 UK Boogie Woogie Champions, and in 2008 performed at the royal opening of the Curve Theatre in Leicester in front of HM The Queen. This troop of dancers have trained across dance forms which includes Bollywood, Hip Hop and a classical Indian dance. This gives the dancers a beautiful blend of movement vocabulary which enhances and pushes the boundary of Bollywood choreography. The range of performance tracks which can be selected is therefore very diverse. The repertoire can include very Kitsch kind of Bollywood (e.g Ishq Kamina, Aaja Nachele, Nimbooda), Semi-Classical Bollywood (e.g. Jiya Jale, O re Piya) or modern/Street Bollywood (e.g. Mauja Mauja, Jalwa). To make your event more personal they can also provide a dance sequence to a special song that you may request.